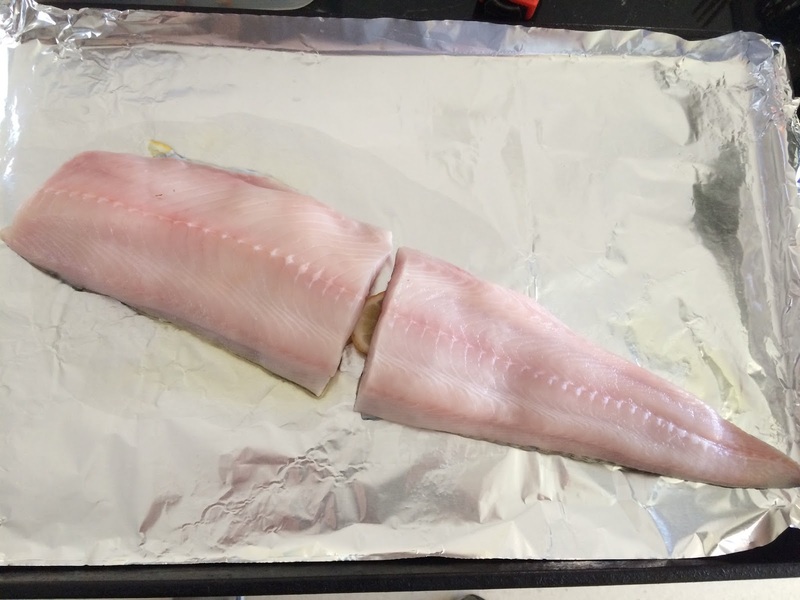 The SirenSeaSA variety fillet was sablefish this week. 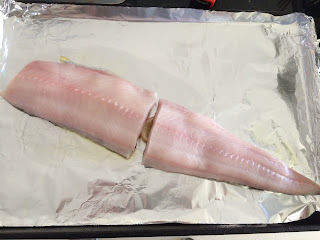 I was first thinking to use a recipe from the last time we received this wonderful fish but then decided to look for something a bit different. I found a few good recipes in my copy of Jay Harlow's West Coast Seafood and opted for the first one which was to simply broil it. 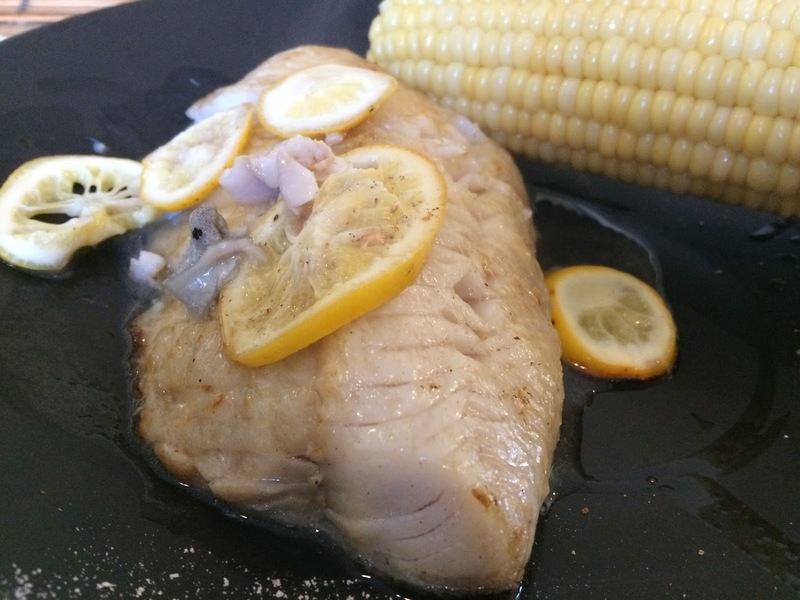 Although Jay's recipe was to just broil it without seasoning I couldn't resist placing the fillet on top of thinly sliced lemon and a drizzling of high-quality olive oil. It made for a fantastic meal. The recipe is below but other than the pre-salting, I basically just laid it out already above. 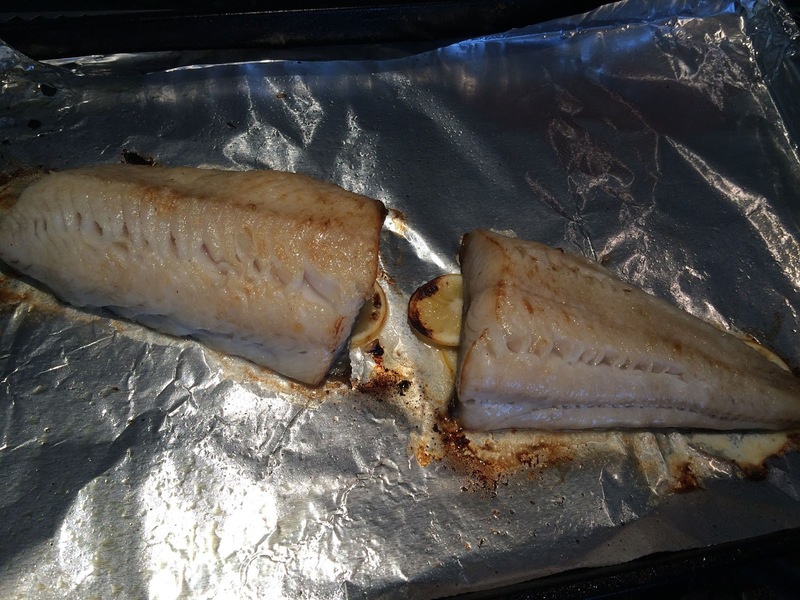 30 minutes before cooking, lay the fillet out on a plate and apply the salt to both sides. Let it rest for no longer than 15 minutes, then rinse thoroughly and pat dry with paper towel. Allow the fillet to air dry for another 15 minutes. Meanwhile preheat a broiler. Line a flat pan with aluminum foil to broil the fish. Drizzle the oil where the fish will lie, then place the lemon slices on the oil. 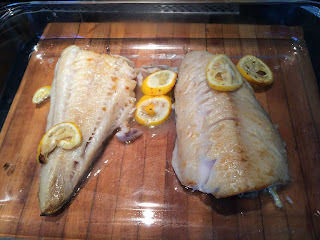 Place the fillet on the lemon and put under the broiler skin-side down. Cook until the fish starts to flake, about 8-10 minutes. Remove the pan from the broiler. 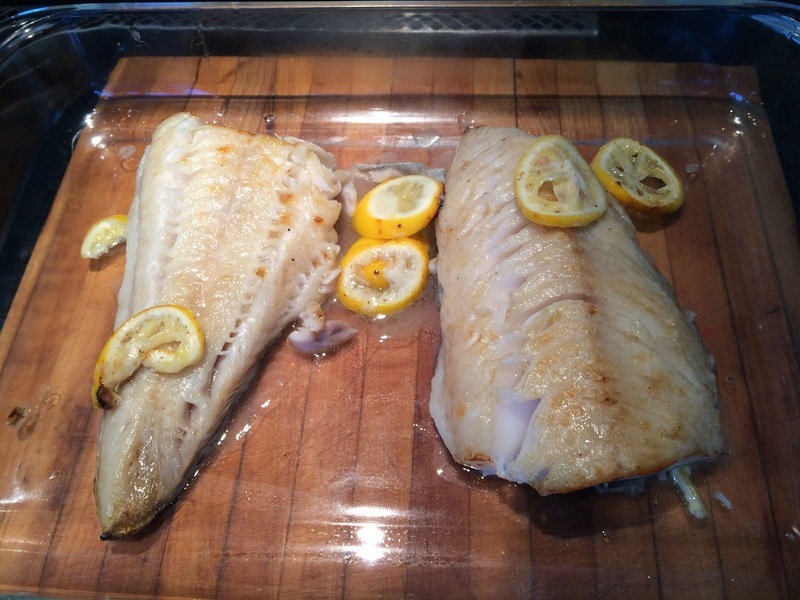 Plate the fillet on a separate serving plate then cover with lemon slices and drippings from the pan. Serve. This is an adaptation of a recipe in Paula Wolfert's Mediterranean Cooking which I'm revisiting this month while I search out the best recipes with dried beans, legumes, and pulses. A link to the method I used to prepare the dried cannellinis I used is included. If you don't have time to soak and prepare the beans, you can substitute a can of cannellinis and adjust the amounts of the other ingredients to adapt proportions. Combine the beans, green onions, oil, and lemon juice in a large bowl, seasoned with salt and pepper. 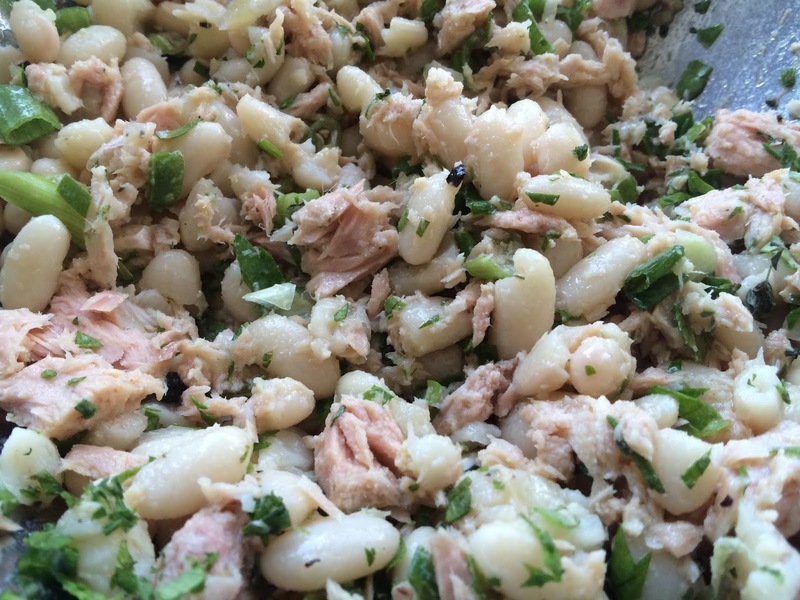 Break the tuna into small pieces and stir gently into the beans. Top with the chopped herbs and serve at room temperature.